Edina Family Physicians is a group of Family Physicians and staff whose Mission is to provide quality yet economical and timely care for you, our patient. We provide this by offering preventive, long-term, acute and emergent patient care. Edina Family Physicians has proudly served this community since 1974. Our physicians care for their patients through the life-cycle from birth up to, and including, senior health care. Our cornerstone is family medicine but our physicians further specialize in women's health, obstetrics, child and adolescent care, sports medicine and preventive health maintenance. Our clinic has State certification and the professional capability to perform Mammograms, Digital X-rays, DEXA scans, Ultrasounds, Cardiac Stress tests and Echocardiograms. We strive to provide the most up-to-date, quality medical technology for our patients. We are again offering to our patients the seasonal flu shot. Please call to make an appointment Monday through Thursday 8AM to 5PM and Friday 8AM to 4PM. 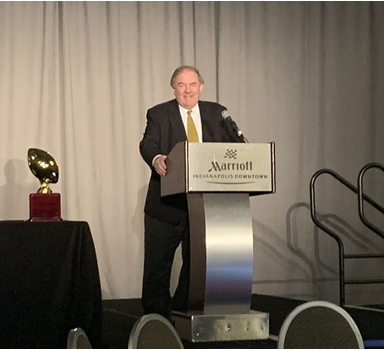 Congratulations to Dr. Sheldon Burns winner of the 2019 Jerry "Hawk" Rhea Award for Outstanding NFL Team Physician. Saturday By Appointment Only Phone Open @ 8:30AM to 12PM. We have made a commitment to our patients to daily work in all Urgent Care appointments, Please call.